Google’s popular email service, Gmail, is pretty good, but it’s missing some valuable features, like scheduling. However, a recent APK teardown revealed the service might soon get that feature, along with new security parameters. 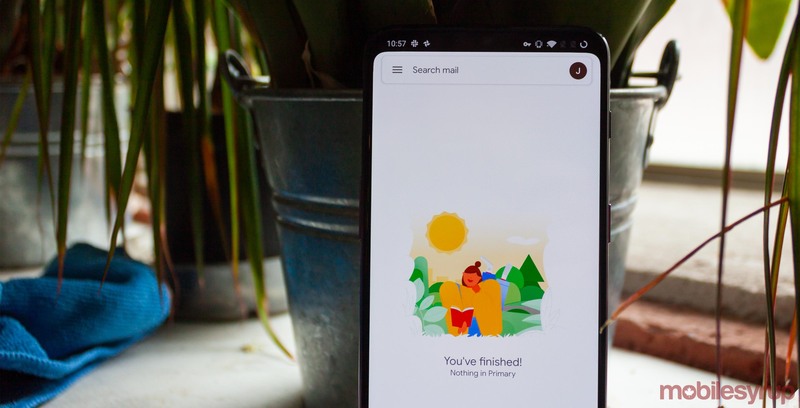 9to5Google performed a teardown on the most recent Gmail APK, version number 2019.03.03.238017425. Teardowns like this take the application file used to install the app and decompile it to look inside and view the code. It’s important to remember that teardowns look at the code for features that are in development. There’s no guarantee when or if those features will see a full release. That said, let’s dig into the code tidbits found inside the app. First off, more keen-eyed readers may have noticed the new version number is different than past Gmail updates. It looks like the Gmail team has pivoted from its 9.x version number to one that starts with the year. This should make it easier to tell how recent a version you’re on at a glance. Additionally, the teardown revealed more work on an email scheduling feature in Gmail. This includes several code strings with details about scheduling an email to be sent at a later time. Users will also be able to cancel scheduled messages, which reverts the email to a draft. Scheduling an email seems to put the request and timing in the cloud, so Gmail will still send the message even if your device is offline. It also means if you don’t have a connection, you can’t cancel a scheduled message. Along with the scheduling features, the teardown revealed some new security features. Enterprise administrators may soon get the ability to prevent your device from syncing to work Gmail servers if your device isn’t secured. In other words, if you don’t have a screen lock, or if your screen lock isn’t secure enough, you won’t get emails from work Gmail accounts. Finally, the teardown revealed Google might do something to celebrate the upcoming 15th anniversary of Gmail. The email service launched on April 1st, 2004 and was primarily thought to be an April Fool’s joke for offering users 1GB of personal storage. At the time, most services provided tens of megabytes. A string of code found in the teardown suggests Gmail for Android may have a pop-up that informs users that Gmail turned 15. It’s not clear if there’s more planned to go along with it. If you want to update to the most recent Gmail version, you can do so from the Play Store. However, any features highlighted above won’t be present yet as they’re still in development.